“Tackifiers” are low molecular weight rosin and hydrocarbon resins which modify or ”tackify” polymers, to enable/improve adhesion to various substrates. 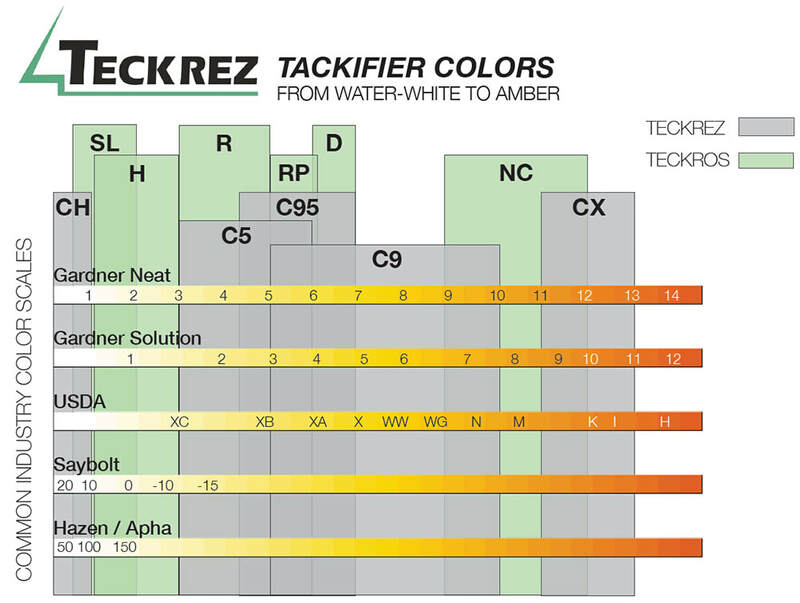 Tackifier choice is driven both by the resin’s polymer compatibility and molecular weight distribution (MWD). This combination allows the resultant adhesive to provide the desired wetting, adhesion and cohesion. Very non-polar, olefinic type polymers typically require non-polar, aliphatic (C5) and hydrogenated hydrocarbon tackifier resins. Very polar polymers such as acrylics and polychloroprenes require more polar (oxygen or aromatic containing) tackifiers, typically rosin-based and phenol-modified resins. Narrower MWD generally improves polymer compatibility. Teckrez uniquely offers hydrogenated water-white resins meeting needs across this performance (polarity) range, both for polyolefin type (low polarity) and acrylic (high polarity) polymers. 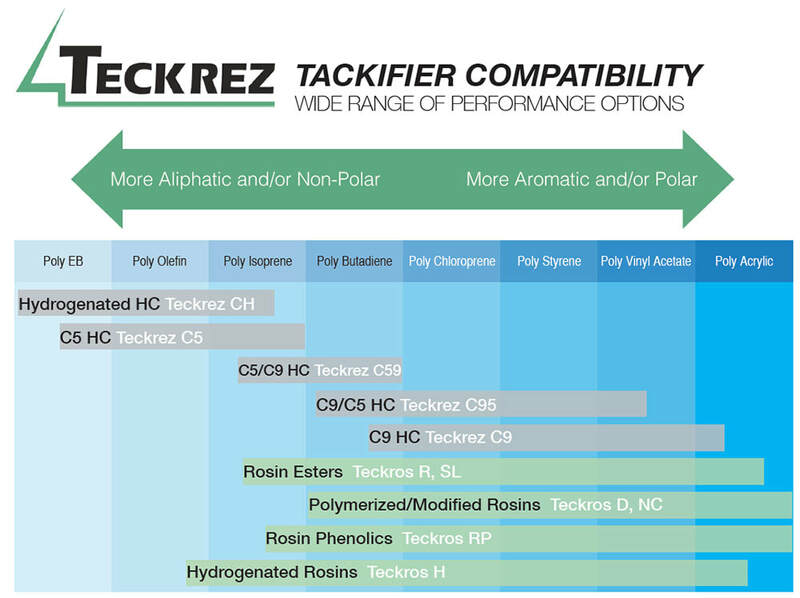 The wide performance scope and capabilities of the Teckrez tackifier range, both hydrocarbon and rosins/esters, are demonstrated graphically below.